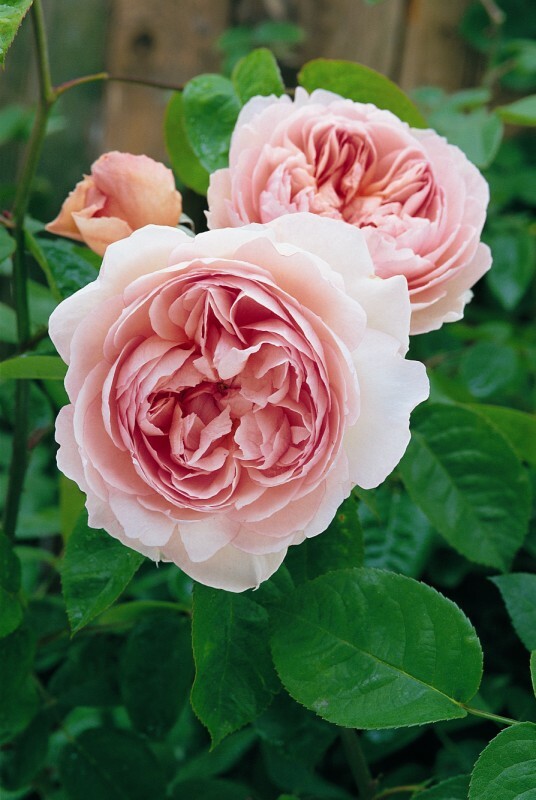 This variety bears some of the most perfectly formed flowers of true Old Rose character. Starting as attractive, nicely rounded buds, the flowers gradually open to shallow cups with all their petals perfectly arranged. Their colour is pure pink with soft blush on the outside and a lovely pure pink at the centre; the whole effect being totally charming. ‘Gentle Hermione’ will form an attractive, rounded shrub of medium height with slightly arching stems. It has excellent health and the petals are particularly resistant to rain. It has a strong, warm, classic Old Rose scent with a hint of myrrh.